Apple Crostata (Italian) or Apple Galette (French). 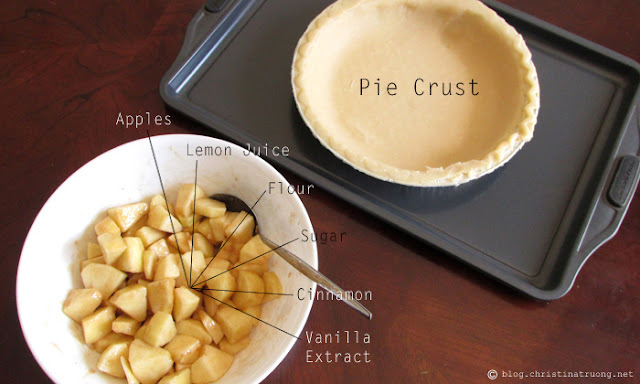 However you want to call it, is another easy peasy dessert recipe that is perfect to make throughout the fall season and Thanksgiving. A Crostata/Galette is essentially a free-form pastry baked without a pie pan or tart ring. Keep in mind, this is by no means my own creation. I've seen a few Apple Crostata/Galette recipes and tweaked a few ingredients towards my liking. Let it cool for 30 minutes before serving. Want more apple desserts? Check out this recipe for Autumn Apple Rose.